In addition to the basics (a kayak with sealed bulkheads or flotation bags, a personal flotation device and a paddle), here is a list of the gear you are required to take with you on the various levels of HASK paddling trips. Of course you will want to bring plenty of fluids and food/snacks. These items represent what we believe are real needs for your safety and the safety of those paddling with you. Keep in mind that the trip leader has the right to ask you not to participate if you don’t have the required gear. If you have questions or are uncertain about anything, contact the trip leader for the trip you are planning to attend. These requirements and recommendations are for paddling on a HASK trip where trip leaders and others on the trip will have extra paddles, signaling devices, tow systems, etc. 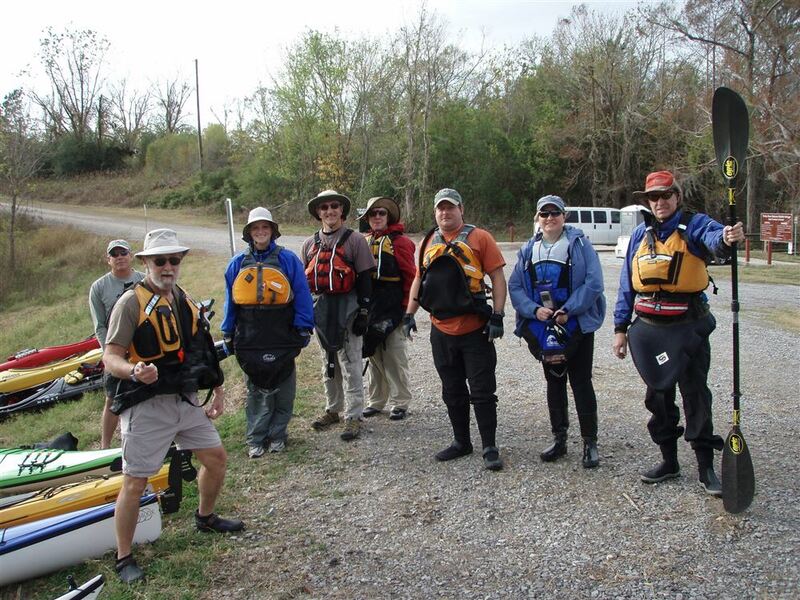 You should consider bringing additional gear when paddling on your own or with other groups. The USCG Vessel Safety Checklist of required and recommended paddling gear is additional to the HASK Gear Recommendations. It also contains information you should have available regarding your boat in case of loss or emergency. We recommend that you enter your boat information into your Member Profile under Additional Member Data so that it can readily be found by you or trip leaders. (***) Ditch bag: two 16 ounce waters, fire starter kit, rescue mirror, knife, radio batteries, high energy snacks, LED flashlight or headlamp, car keys and wallet, 50 feet of cord up to 5/32"
If a trip must be abandoned (ditched) on land, each paddler should take along the hypothermia dry bag, the toilet kit, the first aid kit, and the ditch bag.